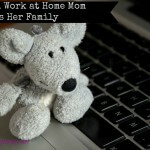 When I first began working from home it was as a child care provider. I loved it for years, and then, I didn’t. As a homeschool mom, caring for multiple other children on top of educating my own became too much. That is when I began looking into other avenues that would allow me to make money from home. I found many sites that were a joke. They required you to pay money up front, asked you to sell a product, or just didn’t deliver what they promised. But, I also found a few sites that actually worked! 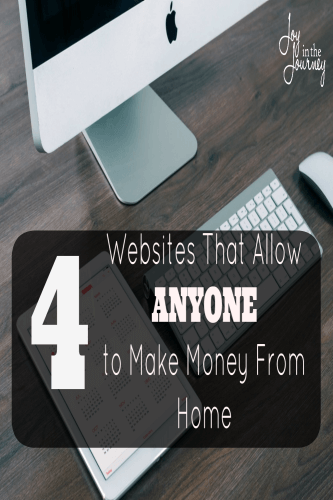 These websites allowed me to make money from home, and they can help you too! This site used to be Odesk and Elance but have since merged into one site. If you can write, know how to type, able to do data entry, or think you would make a good virtual assistant, then Upwork is a great way to work from home! 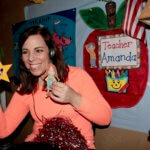 I began seeing a steady income stream after working on Odesk about 5 months. These sites were a huge blessing for my family. 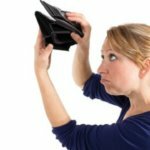 I have since began working on my own, but this site is a GREAT place to start making money from home. This site works in a few different ways. You can take surveys, watch videos, shop, use the search engine, and print coupons to earn points. Once you have enough points you cash them in for gift cards. This can become very addicting, and unless you spend, a lot of time on there can be somewhat slow at seeing rewards. I use it in three ways. I use the search engine, shop and earn, and I print coupons. With these options, I average around $50 in gift cards over the course of a year. That is not a lot, but it does help at Christmas! My points would probably be higher if I actually remembered to click-through to Swagbucks before ordering online. This website sends you emails every so often (I get one about once a week). You fill out the survey, which only takes 5-10 minutes and submit it. The surveys are related to your household shopping. About 2-3 days later, you receive an email stating that your survey was accepted. You then cash in your points for prizes, or my personal favorite $3 cash delivered to your PayPal account. I first heard about textbroker from my friend Brittany in this great tutorial. I have since used it once. It is really a great way for anyone to make money from home. The pay is quite a bit less than traditional writing sites. However, it is easy to use, and they always have articles available. This is a bonus compared to sites like Upwork where you have to apply for jobs and wait and see if you are hired. Textbroker literally has tons of articles up for grabs at anytime. For more information about working from home, check out my book! I share REAL job opportunities for moms, as well as tips on managing working from home and still getting everything else done. Have you tried any of these sites? Share your experience below! Thanks for this helpful list! I’ve heard about Elance but never tried it and the same with textbroker, I haven’t looked into it much yet but now I’m curious. I’ll have to check these out. Elance is merging with Odesk to create Upwork, so unfortunately it is not the same as when I started. Regardless though it is a GREAT way to get started working from home 🙂 Good luck!! Thanks for sharing this great list of ways to make money from home. I especially appreciate hearing about your experience with Elance. I’ve gone through all of the steps with them, but I’ve not yet taken on a project. Your post has encouraged me to follow up with them! Elance is a great platform! Keep in mind though tht they are merging with Odesk into Upwork. I’m not as thrilled with either company since the merger :/ but you may still be able to find a job that fits your needs!